The outcome of the referendum on the UK leaving the European Union in June 2016—a 52-48 majority in favour of ‘Brexit’—was represented by those who campaigned to leave as the simple embodiment of the ‘will of the people’, which could not be gainsaid. The legitimacy of the vote has thus never been subject to proper scrutiny. Yet there are several grounds on which the conduct of the referendum can be questioned: the way the franchise was constructed, the clarity of the choice on the ballot paper, the amount and quality of information available, the adequacy of the media and public debate and so on. 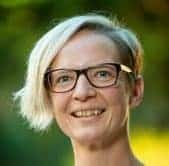 Sandra Kröger, a political scientist living in Britain whose work focuses on democratic representation in the EU, has applied a forensic analysis to the referendum and finds considerable shortfalls in meeting such criteria of legitimacy. 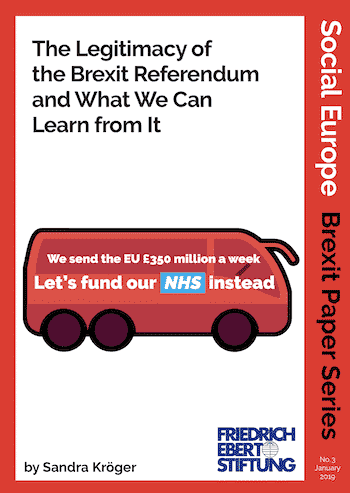 As the Brexit process reaches its chaotic denouement—and amid growing calls for a second referendum to be held—this paper goes to the heart of the issue.